Birth of Robert Oliver Swain Jr. on December 7, son of Elisabeth Anne Brower Swain and Robert Oliver Swain. Place of birth: Austin Texas. Swain moves around with his family to various army bases. His father is stationed in Germany and he moves with his family to his grandmother’s house in Mercedes, Texas. Swain moves to Arlington, Virginia. His brother, Peter John Swain is born. Attends two years of public high school. Transfers to The Hawthorne School, Washington D.C. graduates 1959. Works in construction on the Pan-American Highway in Guatemala, June-August, 1956, in Nicaragua, June- August, 1957 and at a summer camp in New Mexico, 1958. Attends The American University, Washington, D.C.
Swain spends the summer after his sophomore year in Western Europe for three months. He then travels to Spain, lives there for two years and attends the University of Madrid. Swain returns to The American University and receives a Bachelor of Arts Degree (BA) in Fine Art in the spring of 1964. He works as a guard for The Phillips Collection, assisting in the installation of exhibitions and other museum activities while completing his college degree. Moves to Provincetown, Massachusetts and works as a studio assistant to Karl Knaths. Swain produces a series of untitled paintings during this time that are seen by Olga Thenen, who gives him his first one-person show at Thenen Gallery, New York, NY. Moves to NYC, briefly lives on 23rd Street, between Sixth and Seventh Avenues and then moves to Five Lispenard Street, in Tribeca and establishes his first studio. Initial interest in contrived shapes is quickly abandoned in favor of color. 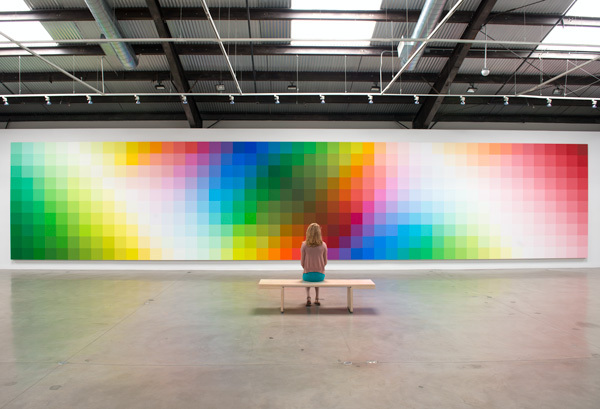 Paints Untitled, 60”x60” a seminal work, consisting of stripes running in various directions revealing unique shapes solely through color interactions. First group exhibition, Light and Line, Park Place Gallery, New York, NY. Swain first experiments with an early grid format. Group exhibition, Bennington College, Bennington, VT. This exhibition is pivotal in Swain’s career. 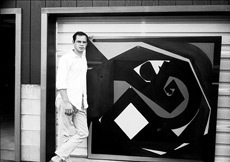 The exposure leads to Fischbach Gallery becoming his dealer; Swain meets colleague, good friend and mentor, Tony Smith. Begins teaching as an Adjunct Professor at Hunter College, C.U.N.Y., New York, NY. Begins assisting Tony Smith, building his sculpture, working with him for two-three years. Moves to Fifty Seven Leonard Street, New York, NY. Group Exhibition, The Art of the Real: USA 1948-1968, The Museum of Modern Art, New York, NY, July 3-September 8, 1968. Exhibition traveles to Grand Palais, Paris, November 14-December 23, 1968, The Kunsthaus, Zurich, January 19-February 23, 1969, and The Tate Gallery, London, April 22-June 1, 1969. Thirty-First Biennial Exhibition of American Contemporary Painting, Corcoran Gallery of Art, Washington, D.C., February 1-March 20. Untilted #7, 12’6”x26’ (1968-1969) wins the Corcoran’s purchase prize and is acquired by the Corcoran Gallery of Art from the Biennial. Receives a grant for painting from the John Simon Guggenheim Memorial Foundation. Receives an honorarium from Virginia Commonwealth, University of Richmond, Richmond, VA. Swain is commissioned for the first time by Skidmore, Owings and Merrill, Des Moines, Iowa to create a large-scale architectural installation at American Republic Insurance Company, Des Moines, Iowa. Jane Holzer selects a large-scale work by Swain for N. K. Winston Corporations, Smith Haven Mall, NY. Marries his high school sweetheart, Annette Leibel. Swain begins to develop his own color system. Eventually, he arrives at approximately 2,200 components. 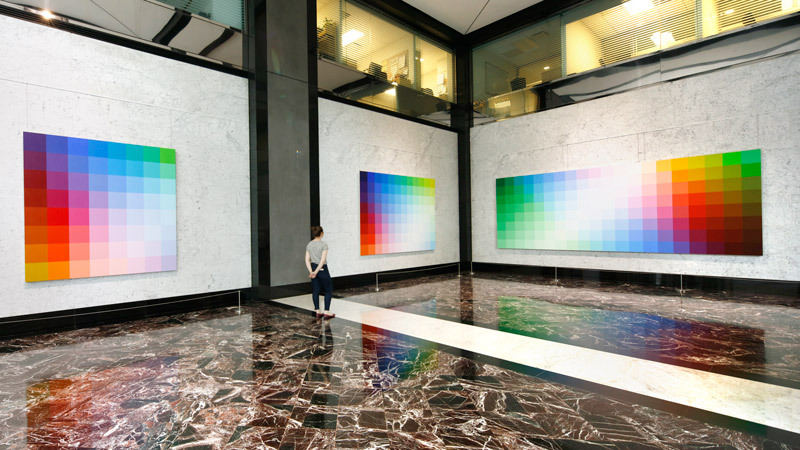 Architectural installation of Untitled, 10’3”x22’6”, commissioned by the Schering Laboratories at their Headquarters, Kenilworth, New Jersey, in conjunction with Skidmore, Owings and Merrill. Receives an honorarium from Drexel Institute of Technology, Philadelphia, PA.
Group Exhibition, The Structure of Color, Curated by Marcia Tucker, The Whitney Museum of American Art, New York, NY, February 25-April 18. 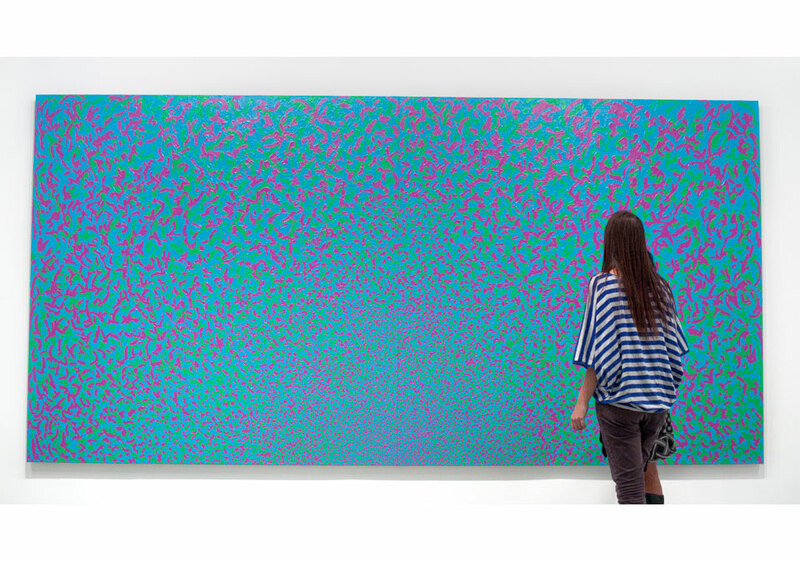 Walker Art Center, Minneapolis, MN acquires Untitled, 91” x 367” (1968), Gift of Donald Droll. 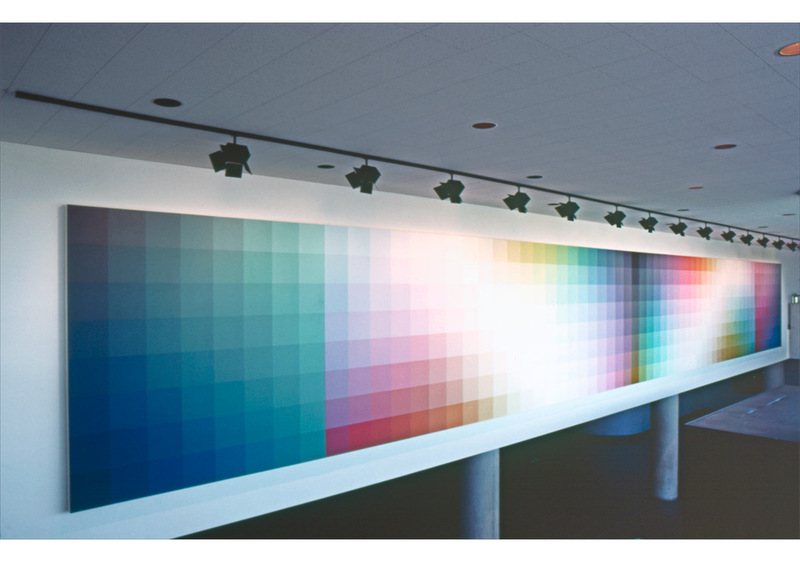 Architectural installation of large-scale work, Untitled, 5’x10’, Phillip Mallis, Kahn & Mallis Associates, New York, NY. 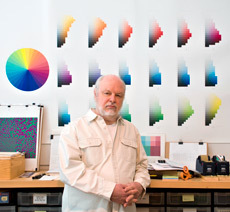 Receives the first of ten grants from Research Foundation of the City University of New York: Faculty Research Award Program, Color research and painting, which aides in the development of his color system. 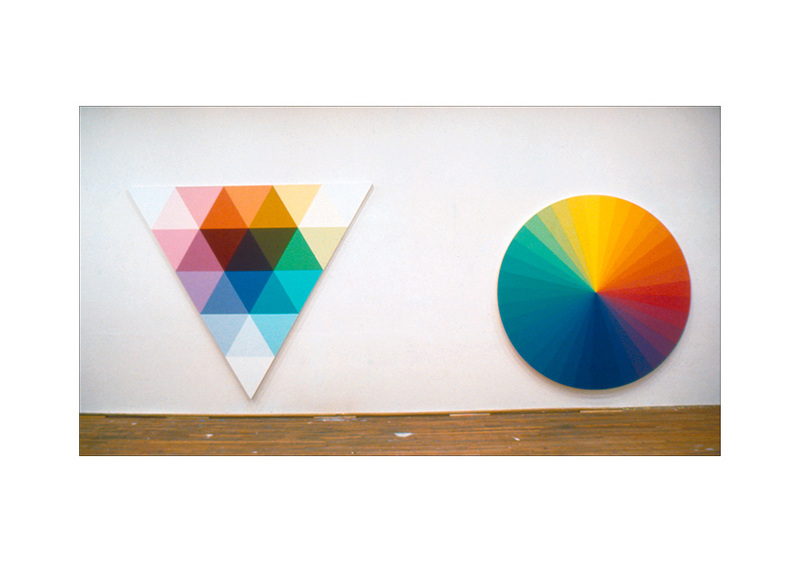 Swain’s first one-person museum exhibition, Robert Swain, Paintings 1973-74, The Everson Art Museum, Syracuse, NY, April 19-May 20. Swain’s work enters The Everson Art Museum permanent collection. Susan Caldwell becomes Swain’s dealer, until 1981. One-person exhibition, Susan Caldwell Gallery, New York, NY, October 5 – October 23. This would be the first of four one-person exhibitions at Susan Caldwell Gallery. The Virginia Museum of Fine Arts acquires Untitled, 84”x84” (1974). Group exhibition, Susan Caldwell Gallery, New York, NY. This would be the first of seven group shows at Susan Caldwell Gallery. 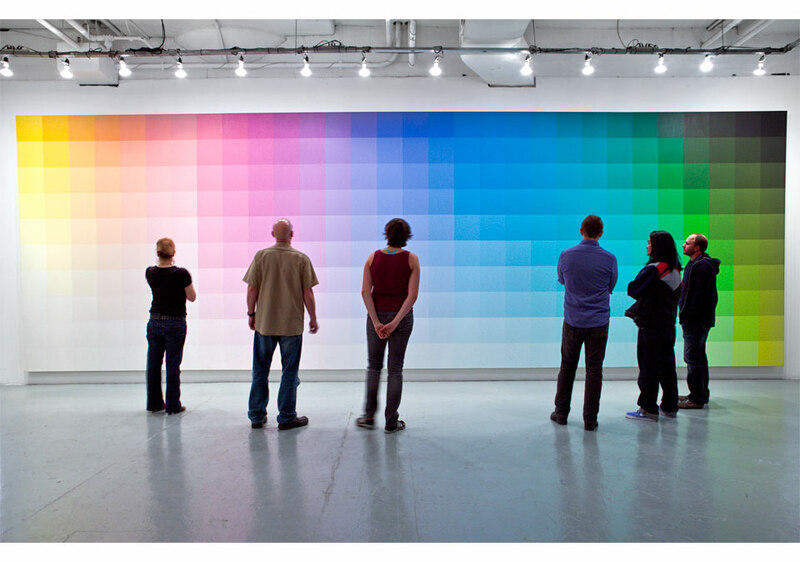 Group exhibition, Color as Language, Organized by the International Council of the Museum of Modern Art. Exhibition travels throughout Central and South America, including museums: Museo de Arte Moderno, Bogota, February 24-March 30; Museo de Arte Moderno de Sao Paulo, April 18-May18; Museo de Arte Moderno, Rio de Janeiro, June 12-July 20; Museo de Ballas Artes, Caracas, August 3-September 14; and Museo de Arte Moderno, Mexico City, October 2-November 23. The Detroit Institute of Art acquires Greg’s Yellow (1973) for the museum’s permanent collection. The Columbus Gallery of Fine Arts, Columbus, OH acquires Untitled, 84”x84” (1975), for the museum’s permanent collection. Receives his first grant for painting from the National Endowment for the Arts. 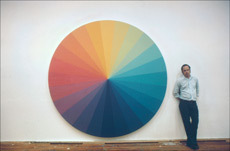 Swain’s work, Untitled #901, 108”x108” (1975), enters the permanent collection of Albright-Knox Art Gallery, Buffalo, NY. Commission, Untitled #5 (Two Yellows), 10’x11’, Harris Bank, Chicago, IL., Powell/Kleinschmidt, Chicago, IL. Commission, Travenol Laboratories, Deerfield, IL, Skidmore, Owings and Merrill, Chicago, IL. The Corcoran Gallery of Art acquires Study for a Painting (1974). The Milwaukee Art Museum acquires Hexagon #2, 105”x121” (c 1969), gift of Schwartz Associates. 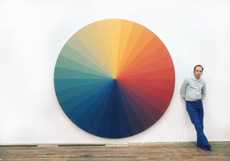 The Denver Art Museum acquires 30 Part Circle (1971). The work remains in the permanent collection until 1995. Commission, Untitled, 5’x9’ for the Tupperware World Headquarters, Orlando, FL, Consultant: Art Sources, Inc., Jacksonville, FL. 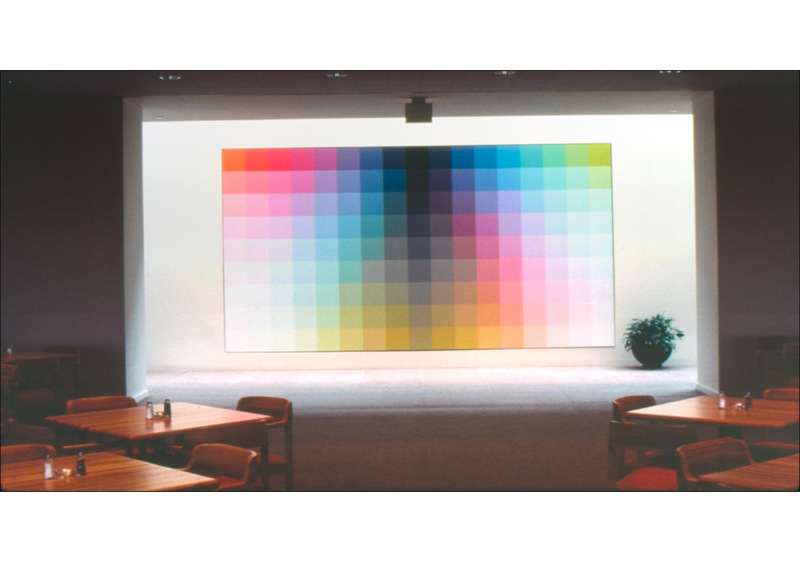 Commission, Untitled, 4’x27’ for IBM, Charlotte, NC, Thompson, Ventulett, Stainback and Associates, Atlanta, Georgia. Consultant: Art Sources, Inc., Jacksonville, FL. Develops design for a large, 30’x30’, computerized, outdoor light piece commissioned by Ocean Spray, Sulphur Springs, TX for their manufacturing plant. Swain develops several models but the work was not realized. Receives the CAPS Grant for painting, from the State of New York. Swain is promoted to Full Professor, Hunter College, New York, NY. Group exhibition, Given and Promised: 36 Painters: New Acquisitions from 1/26 – 3/14/82, The Metropolitan Museum of Art, New York, NY. For Tony’s Jane (1979) enters The Metropolitan Museum of Art’s permanent collection. 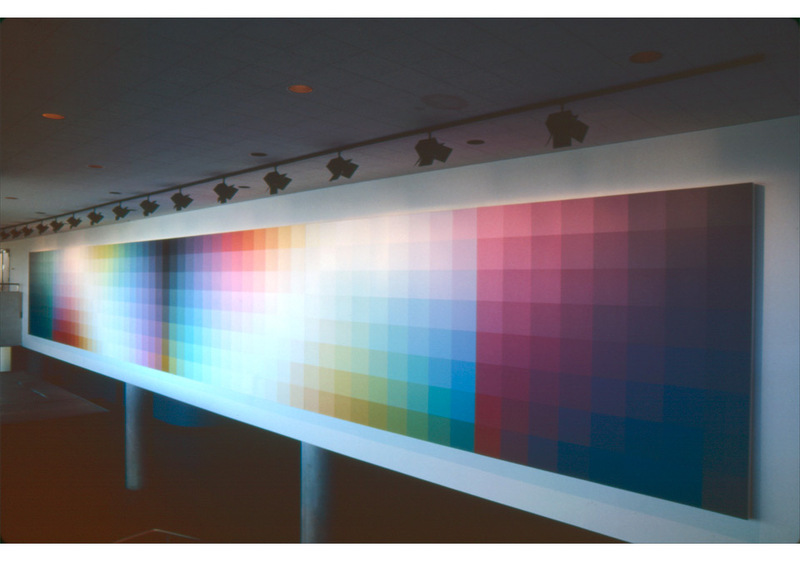 Commission, Untitled, 9’x17’ for Johnson & Johnson Headquarters, New Brunswick, NJ, at the direction of the architectural firm, I.M. Pei, New York, NY. Commission, Untitled, 8’x61’ for the Slee Concert Hall at the University of Buffalo, North Campus, Amherst, Buffalo, NY. Albright-Knox Art Gallery acquires Study for Slee Concert Hall, 24”x183” (1982-85). Receives his second grant for painting from the National Endowment for the Arts. Albright-Knox Art Gallery acquires Untitled, 6x4 #20, 72”x48” (1988). Prior to March 13, 1989 a steam line burst in the basement of 383 West Broadway, where Swain’s work was being stored. Steam and 200° water soaked all of his paintings. It was discovered days later and the inspection of several hundred paintings took months. Several works were 30 feet long. Ultimately, it was determined that 10 mural size paintings and another 26 of Swain’s major large works had been so severely damaged that they were beyond repair. Swain’s father dies, October 27. 45th Biennial Exhibition, The Corcoran Collects 1907-1998, Corcoran Gallery of Art, Washington, D.C., July 17 – September 28. Receives the Distinguished Teaching of Art Award from College Art Association. Participates in artist’s panel Tony Smith: Artists’ Responses at The Museum of Modern Art, New York, NY. Group exhibition, Seeing Red, Part II: Contemporary Nonobjective Painting, Curated by Gabriele Evertz and Michael Fehr, The Times Square Gallery, Hunter College, New York, NY. Participates in panel discussion Seeing Red, Part III: Color as an Experience, A Two-Day Symposium on Contemporary Nonobjective Painting and Color Theory, at the Goethe–Institut Inter Nationes, New York, NY, March 14-15. Swain’s mother dies, September 21. 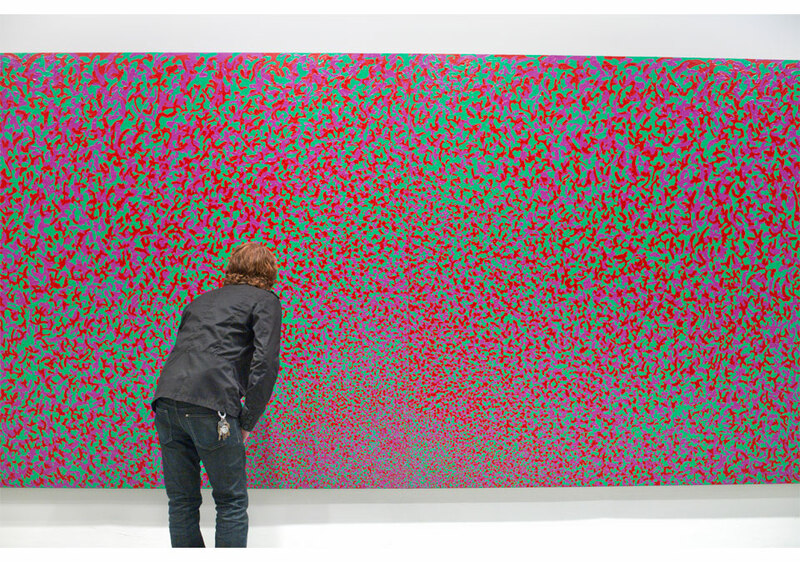 Albright-Knox Art Gallery acquires Untitled, 84”x84”, (2007). Alternative Abstraction, featuring Dan Crews, Peter Demos, Gabriele Evertz, Pierre Obando, Shawn Powell, curated by Robert Swain, Nina Freudenheim Gallery, Buffalo, NY, March 14 - April 21. 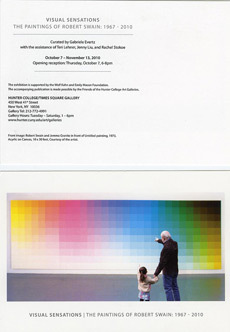 Visual Sensation: The Paintings of Robert Swain: 1967-2010 at Hunter College / Times Square Gallery, curated by Gabriele Evertz, 450 West 41st street, New York 10036, October 7 - November 13. 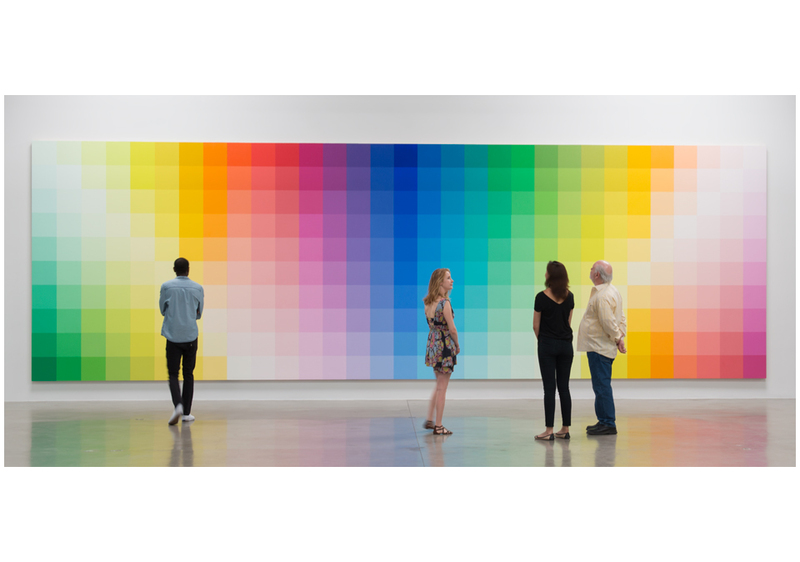 The Form of Color at Santa Monica Museum of Art, curated by Jeffrey Uslip, Santa Monica, CA 90404, May 14 - August 23. Color as color at Minus Space, 16 Main Street, Brooklyn, NY 11201, May 30 - July 4, 2015. 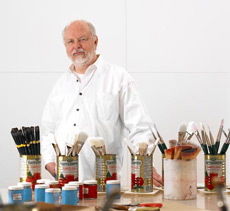 Robert Swain Brushstroke Paintings at Nina Freudenheim Gallery, Bufallo, New York 14201, May 21 - June 22. Color as prime, solo Exhibition at 499 Park Avenue / The Lobby Gallery at 499 Park Avenue, New York, NY 10022, October 5, 2015 - June 17, 2016. Color: Theory and Effect, solo Exhibition at David Richard Gallery at 211 East 121 Street, NYC, 10035, December 9 - January 20, 2018. Summit NJ, February 2 - May 13. 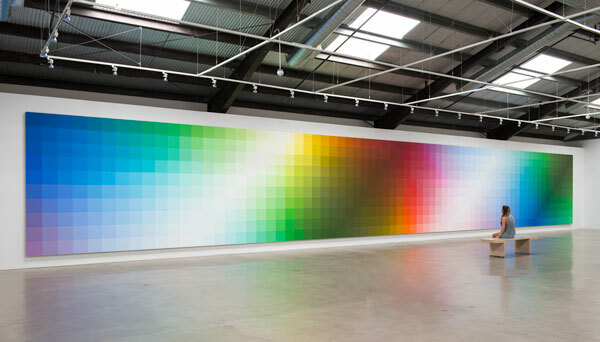 Color Syntax at 375 Hudson / The Lobby Gallery at 375 Hudson, NYC 10014, May 7 - November 9.